The Internal Revenue Service announced in early January that tax returns may be delayed, especially for those who have claimed the Earned Income Tax Credit or the Additional Child Tax Credit. This delay is intended to only be a few weeks, however, there is concern regarding the impacted group of taxpayers relying on this return. Congress approved the delay in order to give the IRS additional time to review tax refunds in an effort to catch fraudulent transactions before the checks are sent out. While all taxpayers are encouraged to file their tax returns as soon as possible, the Internal Revenue Service will not be issuing tax returns to those claiming Earned Income Tax Credit or the Additional Child Tax Credit before February 15. The IRS opened tax season on January 23, anticipating that those who have applied for either of these credits will not receive the return until February 27th week realistically. The IRS also observes President’s Day, February 20, which will impact the postal service delivery of these returns. The Additional Child Tax Credit was claimed by roughly 26 million Americans in 2015 and is meant to assist those working families with low to moderate income. Based on income, you can receive additional tax credit which will be included on your return since your tax liability hits below zero. Claiming this exemption in the low to moderate tax bracket results in some families having a surplus on their tax credit, which will then be paid out to them in their return. However, this credit has had a high fraud rate by families erroneously claiming the exemption, sparking the IRS investigation. The IRS has been plagued with fraud over the past several years. A security breach last year resulted in a loss of almost $39 million of federal funds due to taxpayers, taken by hackers. Additionally, over the past few years, the IRS has warned often and to anyone they can about the telephone scam run by a number of different organizations. Scammers would call a taxpayer and either ask them to confirm their Social Security number, mailing address and other personal information in an effort to steal their identity, or another by calling and threatening taxpayers into paying ‘fines’ for years of unpaid fees, that never in fact existed. Scammers would then quickly withdraw large amounts of money or use the taxpayer’s personal information to rack up debt. Do You Need Help with Family Law Issues in Texas? 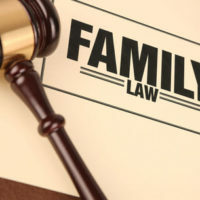 If you or someone you know is having family law difficulties, please do not hesitate to call the experienced lawyers at Lindamood & Robinson, P.C. today in our Houston office at 713-654-2112 or our Galveston County Office at 281-486-6116, or simply reach out using our website and we will contact you. We look forward to hearing from you soon.